Look, I made some Yakitori for dinner. 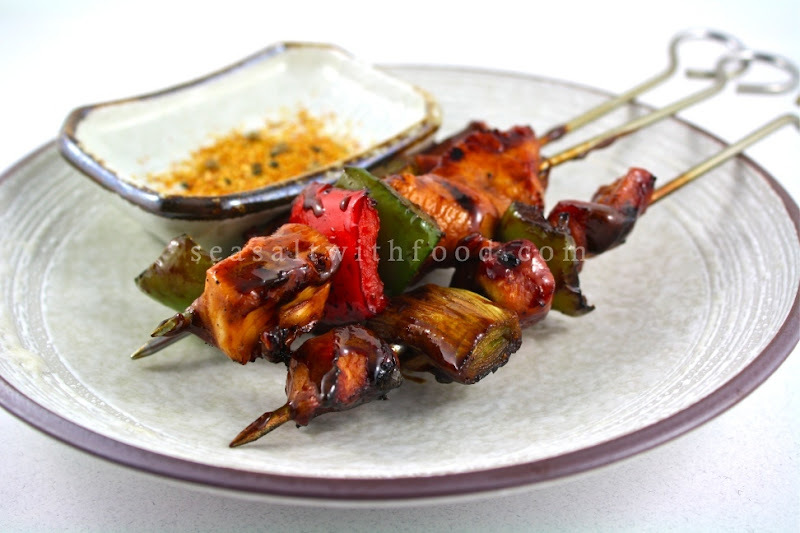 As many of you probably know, Yakitori is grilled chicken on sticks. 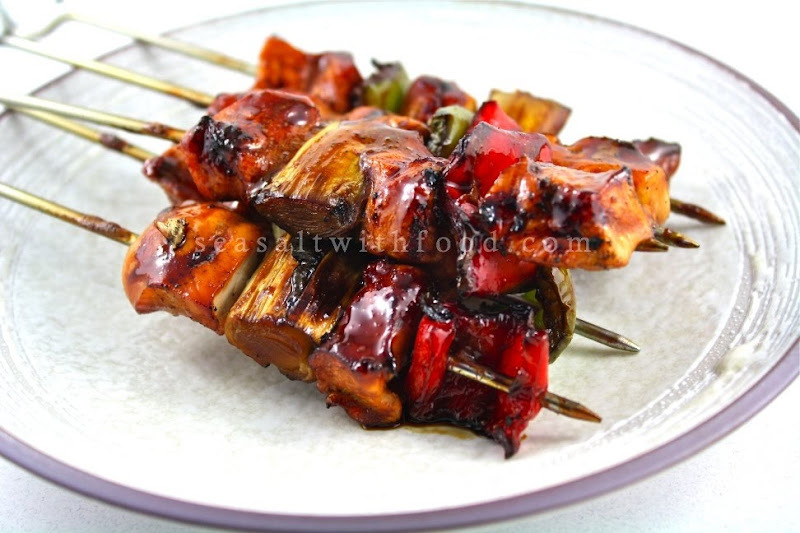 Basically, you skewer the chicken pieces and vegetables of your choice and start the usual grilling and basting process. I like to have my Yakitori with some steamed Japanese rice, sprinkle with some Japanese spices, and sometimes with roasted sesame seeds. This is a great comfort food for me. In a medium pot, combine the sauce ingredients and cook over medium heat. Stir the mixture and continue to cook until the sauces reduce by half. Let cool. Thread the chicken and vegetables onto the skewers and grill over the charcoals (if using gas grill, then grill over medium heat). Once the chicken turns white in color, baste it with the sauce and grill the other side. 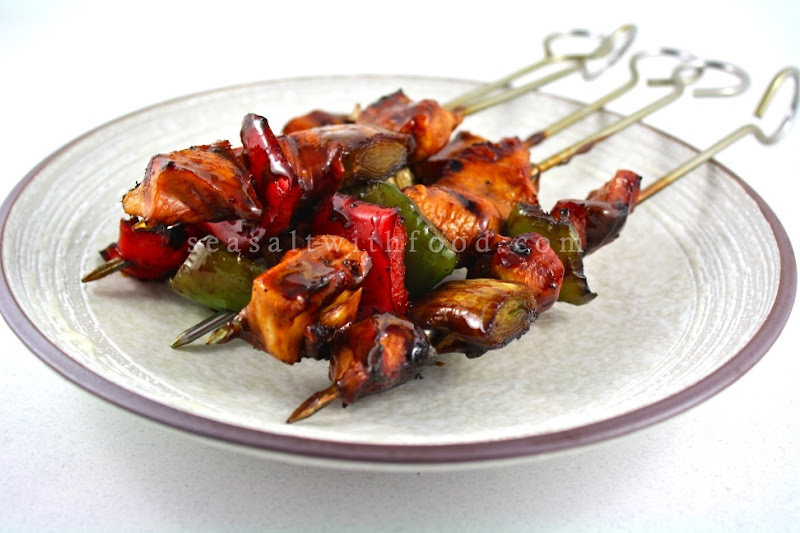 Repeat the grilling and basting process for about 3 times or until the chicken is fully cook. Serve immediately with some Japanese 7 spice mixture, if desired. Simple, elegant, and flavorful appetizer too! hmmm this is great. seems easy and delish! I looks very nice. I love browsing your wonderful photos and recipes.